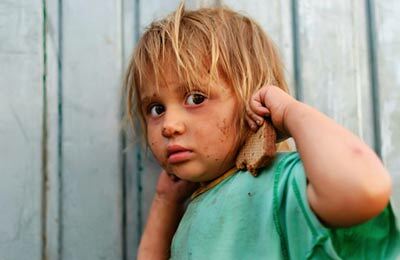 Have serious concerns about your child’s welfare? I can help. I am a child custody investigator based in Brisbane with over 45 years experience in this role, I am well equipped to deal with sensitive child custody cases. My services are discreet and professional, and I will endeavour to make the process as easy and painless as possible for you and your family. The findings I bring back can help a case tremendously, when a custody battle goes through to court. You can also contact Australian Childhood Foundation or Government Child Safety department to receive help on many levels through your battle. It is very common for child custody disputes to arise after a separation, particularly if the separation was not an amicable one. Usually both parents have access to the child, with the child spending alternate weeks with each parent, or perhaps one parent has the child full time while the other has access on weekends and holidays. Do you feel uneasy about having your child in the care of the other parent? Is there reason for you to suspect that they are being mistreated? Do you think they are left alone, or left in the care of family members/friends of your ex-partner? Does your ex-partner have any current friends or acquaintances that you don’t feel comfortable with having your child in the company of? Do you suspect the other parent is engaging in dangerous activities, such as drinking or taking drugs, while in the presence of the child? Do you suspect that your ex-partner states they earn less income than they actually do, in order to shirk their duties in providing for your child? If you are concerned about the behaviour of your ex-partner when caring for your child, I can provide you with thorough surveillance to determine exactly what is happening when they think no one is watching. Additionally, the surveillance I provide could potentially prove that your ex-partner could contribute more than they currently are towards providing for your child’s needs. The surveillance I provide will determine if the other parent is fit to take care of your child. Any evidence of mistreatment, absence or neglect will be thoroughly documented and filmed. Should you want to pursue full custody of your child with court proceedings, the findings I return with concerning the behaviour of your ex-partner when caring for your child could be of tremendous value to your case. Don’t wait – your child’s welfare is too important to risk. If you have any doubts whatsoever about the other parent’s ability to adequately care for your child, book a discreet appointment with me today. 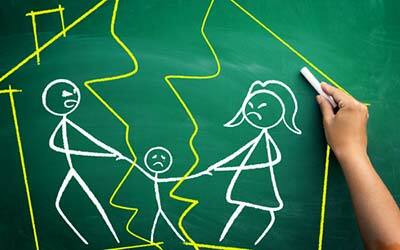 Unfortunately, custody battles can often become quite volatile. The first priority in the event of a separation should be the child’s welfare and emotional stability, both of which can be gravely influenced by the behaviour of the parents during this time. Emotions run high, and there have been cases where false accusations are made in order to gain more access or restrict the other parent’s access to the child. Enlisting the services of a private investigator can disprove false allegations, substantiate legitimate claims of poor behaviour, and shift the focus back on to the well-being of the child. My services are discrete and professional, making the process less daunting on you and your family members.